Maintaining the exterior of a historic building while raising energy efficiency is not necessarily a contradiction. The new EN 16883:2017 standard, Conservation of cultural heritage, provides guidance on how to improve the energy performance of historically significant structures. A group made up of 45 experts from 12 countries had mapped out the guidelines for six years before they were published by the European Committee for Standardisation in June 2017. 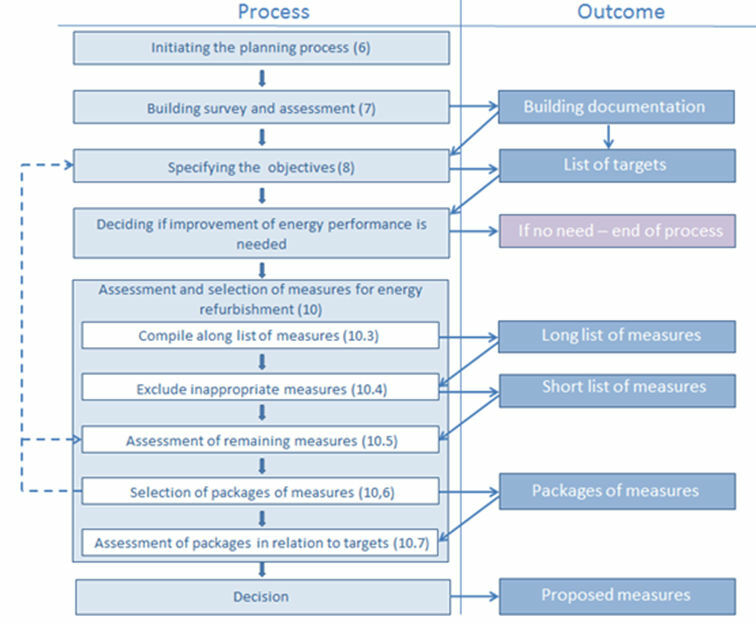 Researchers working for the IEA Solar Heating and Cooling Programme, also known as IEA SHC, are now on the lookout for suitable case studies to evaluate processes and assessments proposed in the standard. 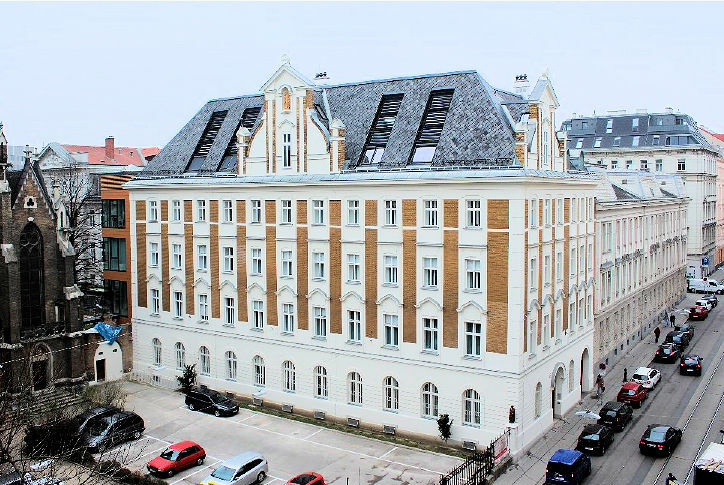 The photo shows a convent in Vienna, Austria, which was built in 1904 and renovated in 2013. “We consider the standard a useful tool, as it establishes a normative working procedure that planners and architects can use when retrofitting historic buildings,” said Tor Broström, a researcher at Uppsala University in Sweden. The standard includes a broader definition of historic buildings. They do “not necessarily have to be statutorily designated as cultural heritage” but exhibit features of an “aesthetic, historic, scientific, cultural, social or spiritual nature”. “Obviously, the definition applies to very old buildings, such as churches and castles, but also to those built in the special architectural or historical context of the 1950s and 1960s,” said Broström. Within Task 59, Renovating Historic Buildings Towards Zero Carbon, he heads the working group that promotes the standard and encourages planners and architects to use the proposed working procedure in suitable projects. All architects and planners who are carrying out such projects and are interested in partnering with Task 59 can write an email to Tor Broström (see contact details below). The standard supports decisions on energy-conserving solutions based on thorough knowledge of a building and its value within the built environment. That´s why the standard recommends to analyse the state of the structure and the legal situation surrounding renovations and retrofits before choosing suitable technologies. This initial planning phase is to lead to objectives for improving energy performance while considering system economics, the impact on the heritage value, the legal framework and indoor climate conditions (see first four items in the chart below). During the second phase, several energy efficiency measures are to be assessed carefully to exclude those that will not work and create a short list of those that will. “In our experience, protected sites are not much of an issue because there are clear rules on what to do with them. Buildings that don’t have that protection are a challenge, as planners and architects need to walk a fine line between the need to implement their ideas and the impact these ideas might have on the building,” says Broström. The authors of the standard suggest the use of a simple table to assess the risks and benefits of certain measures (see below). Professionals need to determine how, for example, new windows will influence the aesthetic value of the building envelope or whether insulation inside walls will cause moisture problems. How to assess the degree of risk has been a difficult task. Broström and his team want to learn from the setbacks and challenges faced by planners and architects who use the working procedure. Their feedback will, if needed, help the Task 59 researchers to create additional guidelines to expand the standard’s explanations and definitions. These revisions could be published at the end of 2019. Architects, building surveyors, property developers and heritage professionals carrying out projects that are suitable for evaluating the working procedure described in EN 16883:2017 are invited to email Tor Broström, University Uppsala, Sweden, at tor.brostrom@konstvet.uu.se. Most of all, Task 59 is looking for historical building projects at a very early stage in the design process, with retrofits scheduled for implementation over the next 12 to 18 months.